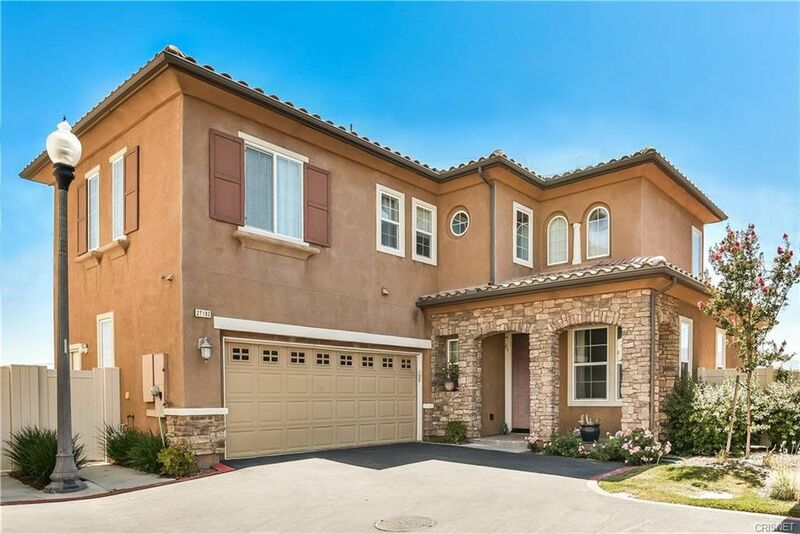 Gated community with commuter friendly location ... Approx 1 mile to 14 FWY exit off of Golden ValleyEnjoy panoramic view of the Santa Clarita Valley from super private backyard with no rear neighbors, located at end of small cul de sac street. All 4 Bedrooms are upstairs. Formal entrance through living room, dining area off kitchen, separate family room with fireplace, upstairs laundry room, newer laminate wood floors, crown molding, dual pane windows, granite kitchen counter top, low maintenance backyard with fire pit and sitting area. A short walk to Golden Valley High School. Also convenient to Golden Valley shopping area, restaurants, etc. Commuter friendly less than .25 miles to 14 FWY, and right across the street from Golden Valley High School, kids can walk to school. Close to shopping, and restaurants.